Israelis in the start-up nation are always in the top of innovation and creativity, but when a group of BIG IDEA gap year in Israel participants showed up, the Israelis didn’t stand the chance. 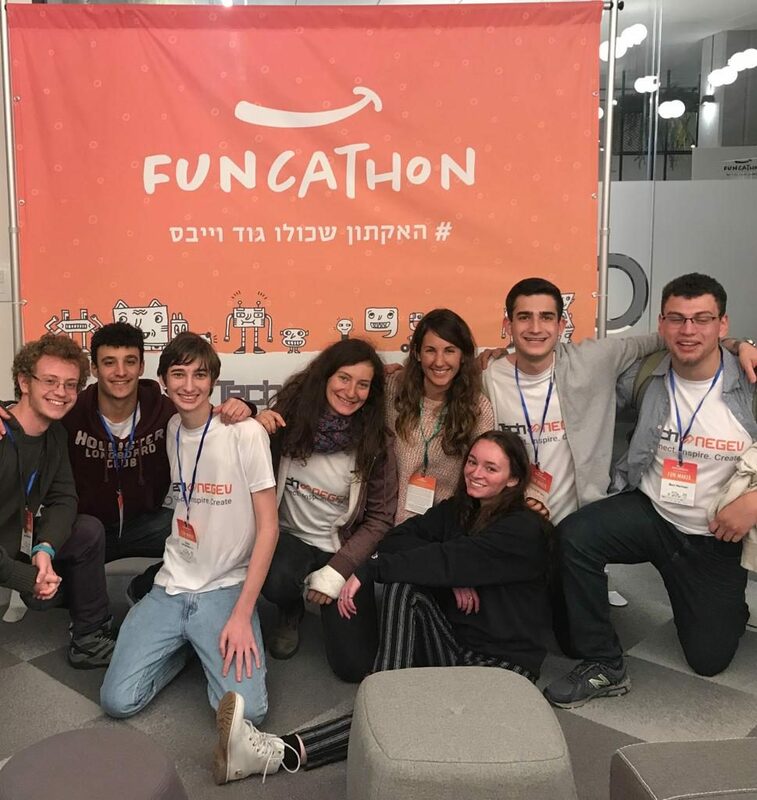 The hi-tech of the Negev (south of Israel) gathered together for an event called FUNcathon, a Hackathon to find solutions to social and community issues. A group from BIG IDEA tech gap year in Israel took a break from the hi-tech boot camp that they are doing and went to participate in the event. 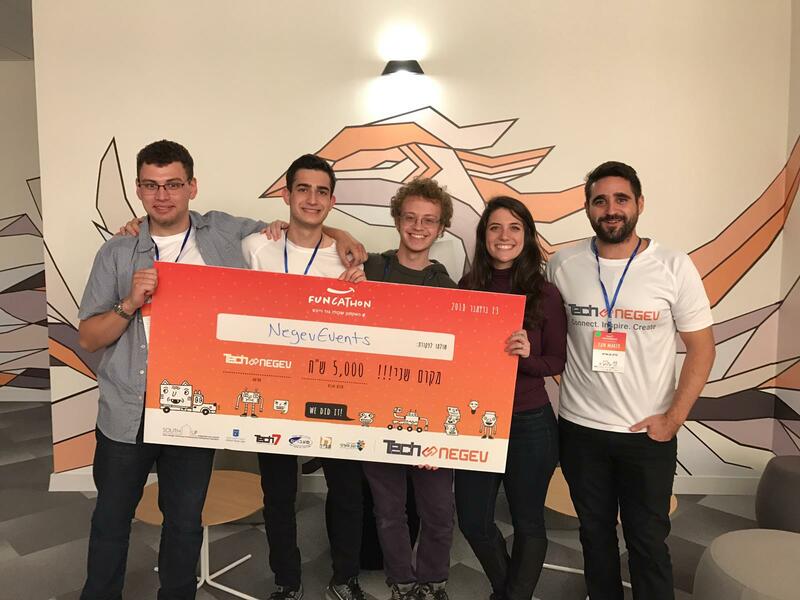 The gap year participants were a huge hit and even got to win the 2nd place in the competition, leaving behind experience teams from the Israeli hi-tech industry. We asked Joseph, a BIG IDEA gap year in Israel participant from Teaneck, NJ to share the experience and the prosses his group went through. I got to be honest, the whole thing felt like a dream — I stumbled into a big hall early in the morning, met a couple of Israelis, and made an app with them! It really wasn’t so much more complicated than that, amazing. It just required a huge investment of time and effort, but it was insanely worth it. The whole event was absurd and exciting. We got to meet so many amazing people from all over Israel who share the same interests as us, we got to work with them and hear about their career. It genuinely made me think about my future career, and I was shocked to find that I truly think I’d be okay with doing this sort of work as actual work, not just the distilled, hackathon version. The product and the process were also amazing by themselves, and I’ve really been spending the last few days thinking about them almost non-stop. Honestly, it’s hard for me to accurately describe the process of how we got from A to B. At the time, everything was going so fast—five people talking rapid-fire, everybody throwing out ideas, trying things out, discarding them. It was never A to B, but I guess it was A to G to X and then eventually to B. The whole idea for NegEvents (our app! 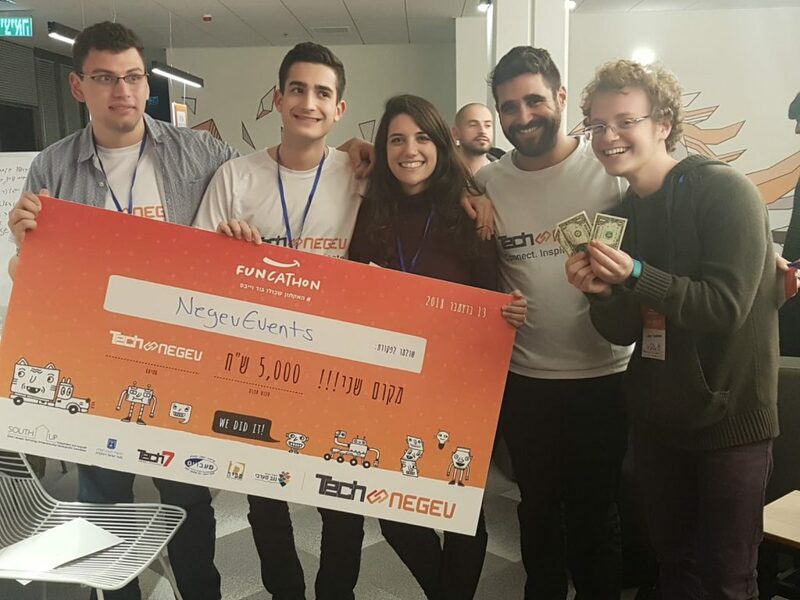 ), a mobile platform that seeks to incentivize community involvement in the western Negev, came about from some strange idea about treasure hunts. I honestly don’t know how. But we were lucky to have an incredible team! We played off each other’s strengths and weaknesses, each person looking to find flaws in suggestions and then, crucially, suggesting ways to fix them. We went through what felt like years of brainstorming in a few hours, and eventually settled on NegEvents. From there, we mostly just followed the momentum. We focused on the ideas we got excited about because we knew that those were the ideas we could excite other people about, too. I really don’t know if I have enough words to say how great the entire Hackathon was, I want to thank BIG IDEA gap year for exposing me to this amazing event. During my gap year in Israel and with the help of BIG IDEA gap year I’m learning so much and defining how my future will look like. I don’t think I’ll even bother trying further. I’ll just say one more thing: if you have the opportunity to do something like this for yourself—do it!